As a techie and former software developer I love software and in particular money management software, including personal budgeting software. I’ve expressed my extreme fondness for You Need a Budget in the past as my favorite personal budgeting software package. I thought I’d take some time in this article to highlight my favorite online money management tools. Contrary to what many say, I find using both online money software and personal budgeting software to be very complimentary. I use You Need a Budget to manage my budget and daily expenses, but I also use Mint.com as well. Mvelopes describes themselves as budgeting made simple. I tried Mvelopes a long time back, and found it to be a decent online package. Mvelopes uses the traditional envelope method of budgeting and tracking your money. Mvelopes allows you to track all of your spending in one place and additionally downloads all of your transactions to a single place. 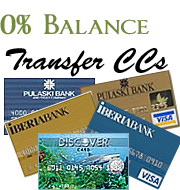 Unlike some online packages, it provides integrated online bill pay as well. One of the slick features is it’s ability to track net-worth by including IRAs, 401(k), stocks, mutual funds, and even mortgage and auto loans. Mvelopes is a paid package (about $13.00 per month), but offers a 30-day free (no obligation) trial. The leader in desktop personal finance software has finally gone online and with a bang. Quicken online is targeted an the non-personal finance savoy person. It’s focused on tracking your income and expenses and helping you live within your means. It’s even smart enough to not only tell you your bank balance, but your accounts “real” balance. Quicken online doesn’t yet match up the features available from it’s older desktop sibling, in particular with tracking investments. But if you’re looking for a high quality and free solution for tracking your finances outside of investing, Quicken online looks to be the ticket. I personally haven’t used Quicken online just yet, but it’s on my list. When I do, I’ll write up a full review. NeoBudget is an online budget system that uses the envelope method to help you track your spending habits and stick to a budget. Neobudget provides a snapshot view that allows you to see all of your envelopes at one time, allows you to import transactions from your bank, set goals, and even provides a debt repayment worksheet. Neobudget is a very straight forward and powerful tool for managing your finances using the envelope method. I found it very easy to set-up and use. The interface is very well done and intuitive. NeoBudget offers a 7-day free trial and then costs only $2.50 per month. This is very reasonable price for the funtionality you receive. I originally became familiar with PearBudget from Paid Twice who writes at I’ve Paid Twice for this Already. She was using their free spreadsheet to manage and track her budget. Since then, PearBudget has gone online. PearBudget describes themselves as “Really simple budgeting”, and that it is. When you first login, it walks you through an easy to follow “wizard” that takes you step by step through getting set-up and started. PearBudget allows you to define your own budget categories, keeps track of your regular spending, uses the classic envelope style of budgeting, and understandable. If you want a down to earth and focused online solution for budgeting your finances, PearBudget just might be what you’ve been looking for. PearBudget offers a 30-day free trial. After that, the cost is $3.00 per month. I have to say that Wesebe is one of the most interesting of the bunch. Wesebe not only serves as an online money management tool, but provides social networking aspects as well. Wesebe lets you manage your money and seek the advice and input from Wesebe’s thousands of other users. Have a question about saving, debt, or budgeting? First you would head here to Gather Little by Little :-), then you can login over as Wesebe to seek out input and ask questions of the Wesebe community. Wesebe is very similar to the other products here, but with a couple of unique features. Based on your purchases, Wesebe will provide savings and spending tips. Wesebe will additionally allow you to set and track your financial goals, which is a nice feature. The best feature? It’s free, so head over and give it a try. Last, but certainly not least is my personal favorite: Mint.com. Mint was really the very first online money management tool I used. The choice was really pretty easy, it’s free and had a really slick look and feel to it. I used it a great deal at first, then stopped as at the time you couldn’t define your own budget categories. Well, that’s been fixed. Not only does Mint.com have a great default list, you can now define your own categories as well. What I really like about Mint beyond it’s shiny interface is the quick set-up and automated transaction retrieval (i.e. no data entry!). I said Mint is shiny, and what I mean by that is that the interface is really nice and easy to use. Mint also very visual, which I prefer. When using Mint, you don’t just get a screen full of numbers, but instead meaningful graphs that make it easy to see how your money is doing. Mint also sends you email alerts for low account balances, and when you’ve exceeded your budget. Do I sound a bit partial? Yes, probably so. While all of these packages are great, each with it’s own set of shining features, I just find Mint to be exactly what I need. On, did I mention it’s free?? Some of the online money management tools I’ve mentioned above require you to enter your secure IDs and passwords from your banks and financial institutions. This is a huge showstopper for some people. Each of the companies that use this information maintain strict security and use the latest levels of encryption to protect your data. I’ve always leaned on the trust side of things, but I did want to make it clear that some of them will ask you for your information. Please make the choice you are comfortable with. Readers? How about you? 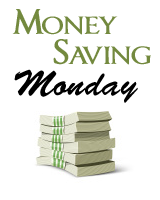 What’s are your favorite online money management tools? Did I miss one you like? Add a comment and share it with us…don’t forget to tell us why. Did I list one you don’t like? Would love to hear your thoughts on that as well. Nice review– I didn’t know there were so many choices available. Now, nobody has an excuse not to organize their finances . . . There is also NeoBudget (http://www.neobudget.com) which was created to be another alternative to these mentioned. It’s not free, but it’s close at $2.50/month. The interface is streamlined and designed to be simple and easy to use. It also addresses the security concern you pointed out by not connecting directly to financial institutions. However, it does offer a way to import transactions from your bank which is MUCH more secure, and almost as convenient. Great resource. Thanks. I use Quickbooks for both my business and my personal accounts. What I look for is ease of use and the likelihood that I will use it. After years of doing it half way, I use Quickbooks for everything. It doesn’t take long and its instructive. I believe that its no so critical which system you use – but that you have a system. Also, I’ve learned (the hard way) not to get caught up in the minutia and really see the big picture that the system is trying hard to tell me. I think most of us in the personal finance community have at least heard of each of these and may have even dabbled with them, but this is a great summary of what each one brings to the table. I just read on Fox that places like facebook have in their fine print that even if you delete your stuff they have complete acess to it and can use it however they please. I realize facebook—is quite different but my point is I fear how they can use this info. I mean I could see them selling it to data companies collecting census info—how much of the population is in debt, saving, what they buy ect. What do you think about this possibility. Fox titled Facebook as the “New Big Brother” Kind of scary I thought. Prasanth already mentioned it, but I’ll second Yodlee Moneycenter. When I started using it 2 years ago it did everything I needed. Great app, puts all your spending tracking on autopilot. Probably only have to recategorize a couple things every month. Hmm, I’ve been using Mvelopes for about a year now. While I really enjoy it, its hard not to think about the money I would be saving by switching to one of the free services. $13 a month * 12 = $156. I think it may be time to rethink the money management software I’m using. I use NeoBudget (as mentioned above by Luke), as well as Thrive (justthrive.com), but starting to lean more towards NeoBudget. But I’ve also tried Mint and Quicken Online. I’m really not huge on Mint, Quicken Online, and Thrive because they are back-end budgeting. They basically tell you what you have spent in the past but don’t really give you as much direction for the future. I have gotten an alert that I had gone over a budget category several days after the infraction, and I hadn’t realized it. For me, NeoBudget is the best option. Its easy, user friendly, no security risk, and cheap as dirt. We’ve been using Mint for two months now and love it. I used to prepare our budget with excel and found myself putting off updates and forgetting to input receipts. Since mint has auto updates, it takes all the work out of our budget. Very nice interface as well and my wife loves using it on her iphone. I’ve been using Moneywell for about four months now. When I switched to a Mac I needed a program that would work on it. I had used MS Money for years so I was used to doing things a certain way. I tried a lot of different free trials. Moneywell was the only one that made me feel like I was getting back what I had with MS Money. I can download from my bank, reconcile my statement quickly, setup future transactions…to name a few things I like. Something I really love about Moneywell is the buckets for budgeting. I think it really forces you to think about a budget in a new way. Something about seeing your buckets empty is very tangible. Much like using cash to pay gives you a tangible, “This is all I have to spend”, the buckets do the same. We are for the first time ever sticking to the budget we’ve made for years…just never really followed. I think the best part though is the customer service is top notch. They are quick to answer questions and constantly working on updates to the program. I’m a Wesabe fan myself. Tried to get into Mint, but it didn’t work with some of our accounts, so we moved on over. I use Wesabe. My main complaint there is the time it takes to download and tag everything. Obviously some of the tags are repeated so you don’t have to enter a new tag for every single expense, but nevertheless, it gets time consuming, especially when you’re using it for two people with separate and joint accounts. However I do like some of the features, such as the ability to set targets on savings and then see how you are doing in comparison to your goals. clearcheckbook user here. spent awhile last year reviewing various options & this works great. simple, easy, not tied to one machine, so easy even DH can use ;) manual importing is tad wearisome but my main bank has habit of not playing nice with auto-import/export. i would love to see categorization handled like tags where one may select multiple trans & tag’m all at once, though. Great survey of the online financial tools. I have been a Quicken user for something like 12 years. The most frustrating part about it is the time it takes to enter transactions. The autopilot feature of Mint really looks attractive. I seriously plan on giving it a try. Another benefit is the online aspect. I like the ability to check my account when I’m away from home. Also, someday I will replace my computer and this transition would be seamless. In a perfect world, I would also like to be able to upload my Quicken history somewhere so I don’t lose it. It came in real handy when recently when I prepared my taxes and had to determine an investment basis. It seams a natural for Quicken Online to provide this capability. I also appreciate the observations of my fellow commenters who have used the various online tools. Great complement to the post! I am also very concerned about the safety of all my account information as well as what these companies are doing with my data. Mint is great, but what they are doing with the data they collect worries me. I found a site called Clear Check Book – http://www.clearcheckbook.com. Unlike all the other sites it doesn’t automatically pull your information from the institutions, instead you manually enter transactions, or you can upload them via CSV forms etc.